FOSTERING SPIRITUAL WELL-BEING AND GROWTH IN THE CREIGHTON COMMUNITY. Our chaplain ministers across all programs in the School of Pharmacy and Health Professions providing spiritual direction, pastoral care, counseling and formation to students, faculty and staff. Collaborating with others to create a culture of reflection, she is passionate about helping all members of the community integrate the Jesuit mission and identity into their personal and professional lives as they strive to discover their core life values and purpose. She invites members of the SPAHP community to connect with their own spirituality or religious traditions, as well as the Ignatian values our school has adopted. By encouraging these values to “come alive” in the ordinary and everyday, she hopes to deepen the appreciation for and application of these values in our personal and professional lives and our Creighton community. Our chaplain strives to encourage awareness of one’s true self, one’s vocation or “calling,” one’s place in community, transcendent values and one’s experience of God (Ultimate Meaning) through a ministry of presence, supportive relationships, spiritual guidance, personal counseling and collaborative programming. She is committed to helping all in our community identify life strategies that will help them embrace the opportunities and challenges they face every day. Originally from the Chicago suburbs, Diane came to Omaha to attend Creighton as an undergraduate and has ministered and lived here since, following two years of ministry with native populations in Montana. She has spent more than 30 years in health care, initially as an oncology and rehabilitation social worker at the Immanuel Medical Center after completing a master’s degree in social work. It was there that she became acquainted with chaplains and completed the chaplaincy residency in 1990. Since then, she has worked as a chaplain in acute care, ambulatory care, rehabilitation and long-term care. 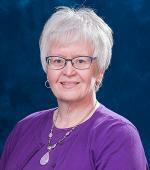 Diane also has a master’s degree in Christian spirituality from Creighton University and has engaged in spiritual direction and retreat work for more than 25 years with groups and individuals from a variety of denominations and faith traditions. She is a board certified chaplain and a licensed mental health practitioner. She is co-instructor for “Interprofessional Palliative Care” IPE 515, instructor for “Counseling for Spiritual Direction” CSP 780 in the Christian Spirituality Program and is a lecturer for SPAHP. She has been a long-time parishioner of St. John’s Church on campus. She has always had an interest in various faith traditions and is intrigued with how individuals address questions of faith, meaning and purpose, both personally and professionally, especially during stressful times. Diane has been a chaplain in SPAHP since 2008 and enjoys talking with students about the challenges they face personally and academically during their professional education. In January of 2013, she became Director of Chaplain Services for SPAHP, charged with the additional responsibility of further integrating chaplain services and mission formation into the life of the school and the professional formation of students. Diane’s husband, Kim, is a BSN/RN. Diane’s office is located in the Pharmacy Suite in Hixson-Lied, room 132. Diane can be reached at DianeJorgensen [at] creighton [dot] edu and 402.280.3864. Please see Diane’s staff profile for more information.